Cityscapes, especially when seen from an elevated point-of-view or all lit up at night, can be mesmerizing. But when towering skyscrapers block the view of the Manila Bay sunset or "photobombs" the statue of a national hero, that's a different story. Sadly, this often happens in Metro Manila where trees are uprooted to make way for highways, old houses and heritage buildings are demolished to make more space for malls and condominiums, and public parks are paved to put up a parking lot. 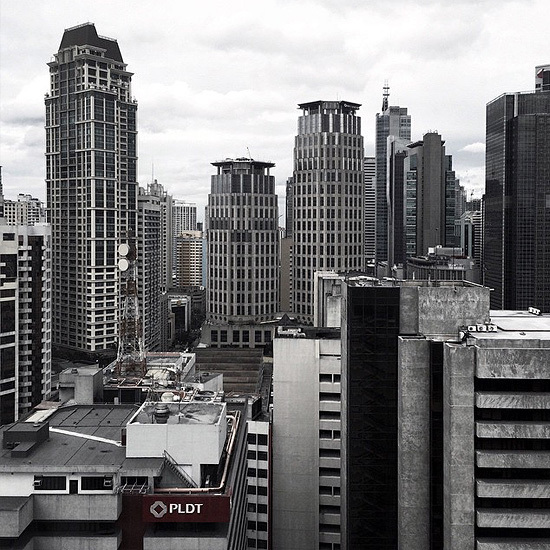 But photographer-slash-architect Aaron P. Quinto makes those eyesore buildings a little less obtrusive through his photographs. 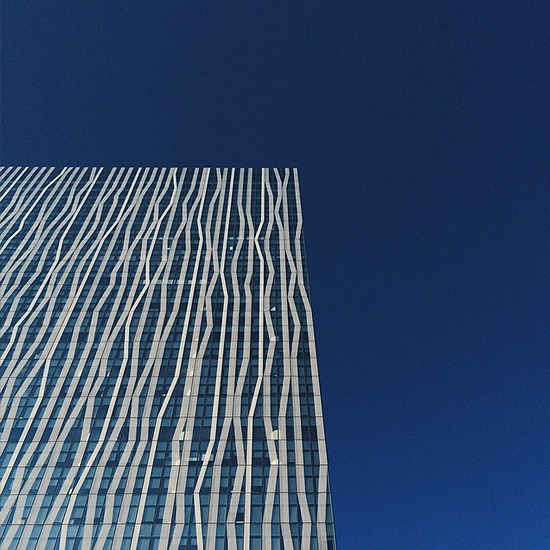 "I'm coming from an architect's perspective when seeing things like scale, proportion, and patterns. 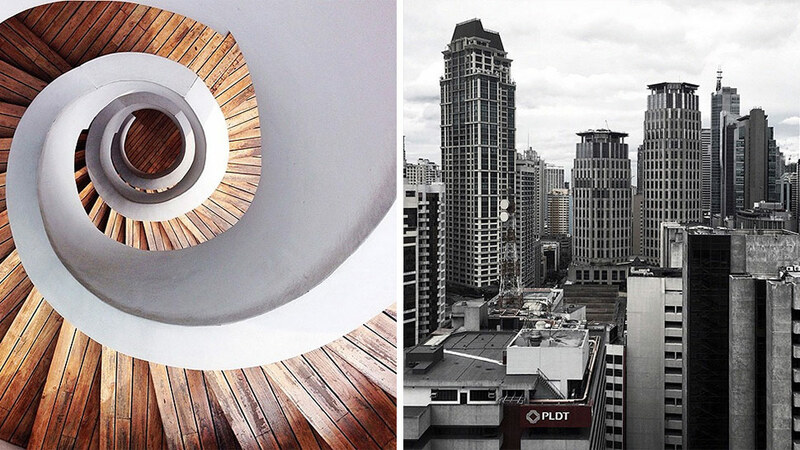 It's very important to view Manila from a different vantage point so that we can humanize it. 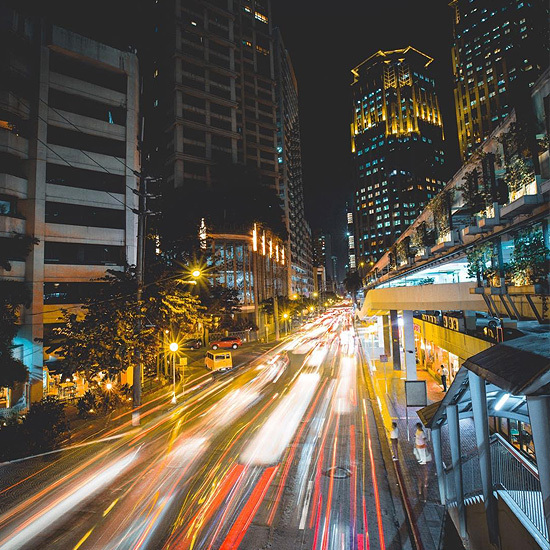 The streets feel less intimidating when we can relate [to] its context," he tells SPOT.ph about capturing the elusive beauty of Metro Manila. 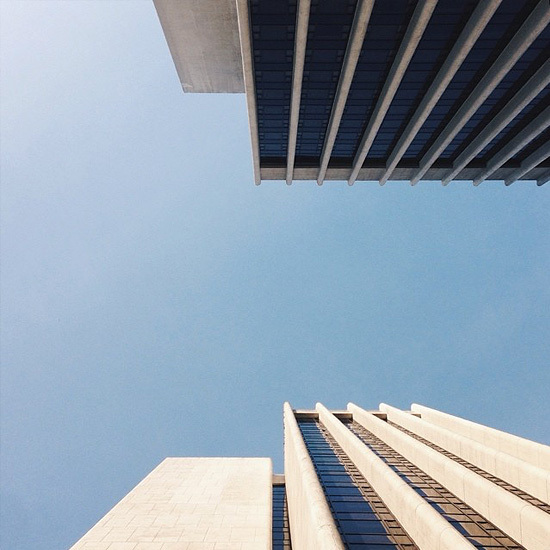 With the Instagram handle @aieos, this 25-year-old architect from the College of St. Benilde showcases the urban setting by zooming in on skyscrapers' corners amid a blue sky, highlighting patterns in buildings, practicing symmetry, and just adding a different spin to an otherwise boring subject. 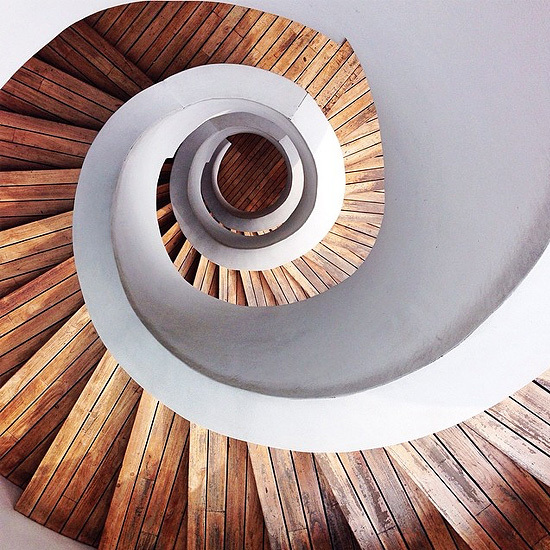 With all the interweaving lines and monochromatic images, his collection is almost hypnotizing. "Details and rhythm are important to me so I am fascinated with subjects with many layers interacting with one another. As long as I can see that a building or a street has something to say and visually arresting then I know it's worth capturing," he explains. 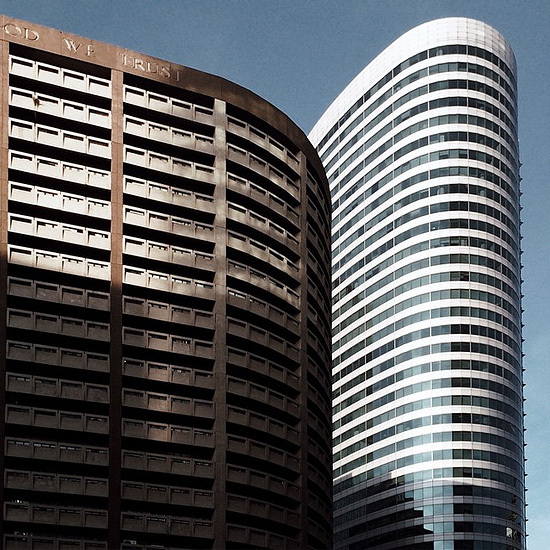 Even his travel photos are not your usual postcard-perfect renditions. He "did lots of guerilla shoots and played it by ear," he confessed when asked about how he learned photography. In every location, he never misses the opportunity to click away and differentiate "which photos are well composed and which ones are off." 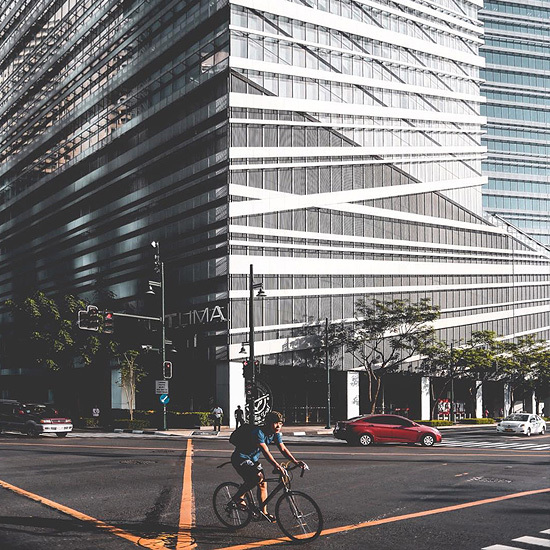 As an architect, Quintos sees that Manila's so-called urban development is "both a heartbreaking reality we have to face head-on and an opportunity which immediately presents itself." His solution is to weave parks and fields within our existing urban space, which isn't really a far-fetched idea since the face of the city is already changing. "More developers are incorporating parks now within their proposed infrastructure. I think it's just a matter of political will and the right people who know [they have] accountability for things to really materialize," he says with much enthusiasm. Is it still possible to love this city? 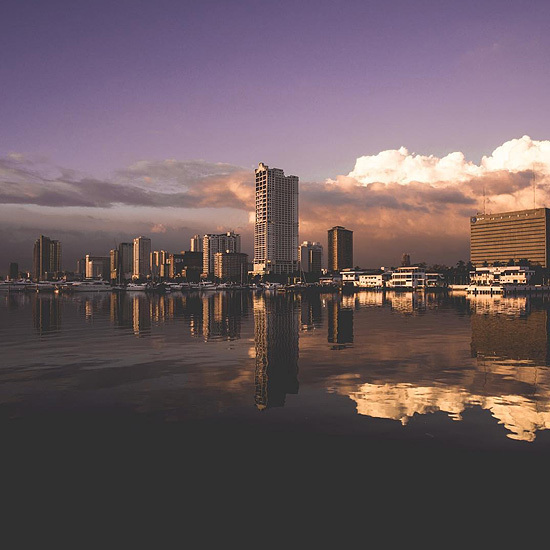 "[Manila] can be unforgiving, it's tough love but it's still love nonetheless. The surge of young creatives trying to revive places like Escolta and Poblacion give me hope and more reasons to be positive about this city. There are unexpected heroes that keep the city from falling apart," he answers. 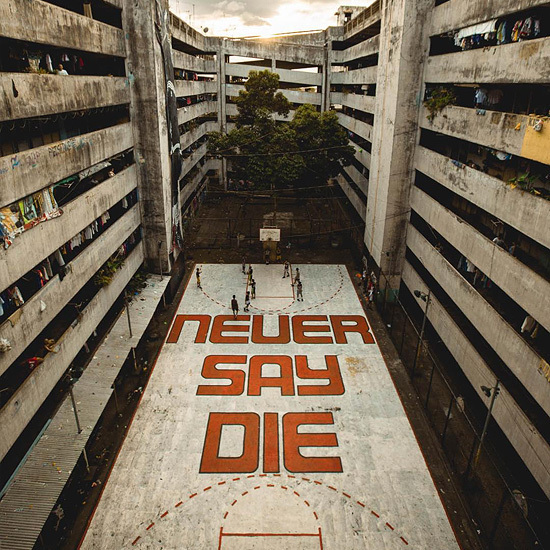 Our streets can be "scarier now more than ever because of the killings and ever-changing political landscape," but a different perspective and we're not just talking about architectural jargon is all we need to remind us that Manila will always be home. 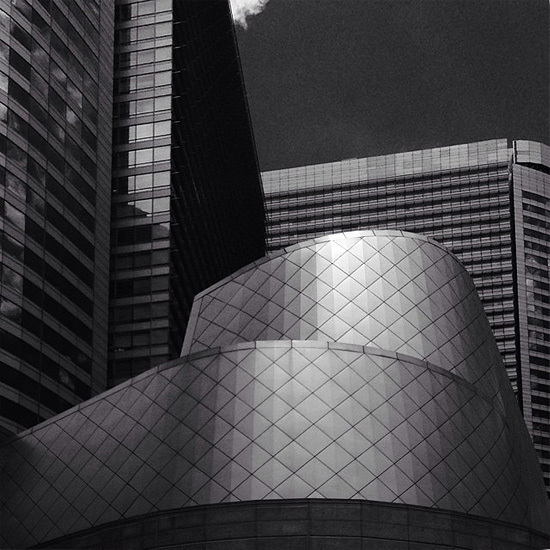 See more photographs by Aaron Quinto through @aieos on Instagram.